Micromax has become quite a popular manufacturer in the past few years and the android operating system has been of great help. They launched various android devices that were powerful and offered excellent value for money. Now they are going beyond android and are making a move towards windows phone. 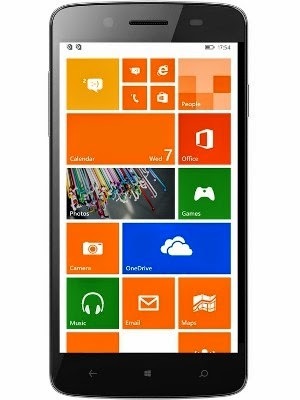 They recently launched two new windows phone devices and they seem to be quite impressive. The smartphones are Canvas Win W121 and Canvas Win W092. The Win W092 is priced lower though the price of Win W121 is quite affordable as well. We take a look at some of the features of the Canvas Win W121. Micromax has really work on the quality of their devices in these years and this one doesn’t look or feel like a budget smartphone. It has got a slim profile with rounded corners that look nice. It features a metal frame which gives it a nice feel. The device is large with 5 inch display but it has been designed well so handling is not an issue here. You can easily hold and use the device using one hand only. The device is light and the weight distribution is proper. This came as a relief as many earlier Micromax devices have been heavy in the upper half making them tough to handle. The back of this device feels premium as well due to the leather finish. 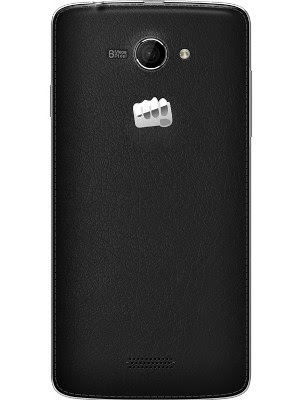 There is no Micromax branding on the front face of the device and they have kept it to a minimum on the rear as well. 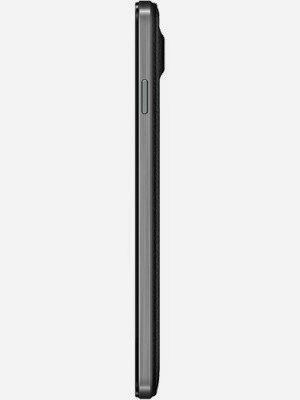 The front has got three capacitive keys below the display and they haven’t gone for the virtual buttons like on Lumia 630. The volume button sits on left and power key on right of the device. There is no dedicated camera key. The canvas Win W121 comes with an impressive HD display. It measures 5 inches and has a resolution of 720 x 1280 pixels. This gives you a pixel density of 294 pixels per inch. While this might not be a very impressive number for a mid-range device, for a budget device, it is. The display has got superb viewing angles and due to the high pixel density, it looks very crisp. The fonts look very clear and even the small texts are easily readable. The display does justice to the colourful interface of the windows phone. The contrast ratios are good so the blacks of windows phone look quite good as well. The colours are well saturated though they look a bit unnatural at times. We wanted to write powerful hardware here but suddenly we realised that they sell octa core devices for just a few thousands more. The hardware isn’t very powerful but it isn’t a slouch either. The Qualcomm Snapdragon 200 chipset runs a quad core processor clocked at 1.2 GHz. It gets the Adreno 302 GPU and has got 1 GB of RAM. It comes with 8 GB of internal storage and supports micro SD cards up to 32 GB. The hardware is pretty good to ensure smooth operation. The Lumia 630 which is available at a slightly higher price tag is the closest rival for this device. It features a better chipset and GPU but gets half the amount of RAM. This limits the number of apps you can run on your device. With the Micromax Canvas Win W121, you won’t have to worry. You can run almost all the apps available on windows app store. The device offers most of the connectivity options you would need. It supports 3G networks with speeds up to 21 Mbps, Wi-Fi, Bluetooth 4.0 and micro USB 2.0. The device comes with support for dual SIM. That is a rare feature on windows devices and saves you the trouble of carrying multiple devices. You can have two sets of messaging and call apps for each SIM card. This would give you individual call logs, messages and speed dials. In case you find this too complicated, you can switch to a unified system as well. You get the usual list of sensors like proximity sensor, gravity sensor, light sensor and accelerometer. Budget devices rarely come with good cameras. Well this isn’t exactly the case here. This device has got a pretty decent 8 megapixel camera. The camera quality is quite good even when shooting indoors. The photos don’t turn grainy until the light goes very low. Outdoor shots are quite impressive and the colours are replicated well. You don’t find a flash or front camera on low end Nokia Lumia devices but here they have provided a LED flash and a 2 megapixel front camera. The front camera is not very impressive and the images you click are grainy. There are hardly any devices in the market right now that run the Windows Phone 8.1. This makes it quite an early player on this platform. While the operating system is very much similar to what we saw on the Lumia 630, you can’t have the Nokia Apps here. Thankfully they have decided not to add any of their domestic apps. You get Office 365 access on the device. For web browsing, you are short of options and would have to live with the Internet Explorer. Not that it is bad but we are so used to Chrome and Opera Mini that if feels a bit weird. One thing that we surely missed here is the ‘Here Maps’. It is a Nokia app so you won’t be able to get it on this device. Nokia has got some other nice apps as well like the lenses. The app support is limited but you aren’t left out without the popular apps. Even the Instagram is here now after a long waiting. The experience of most of the apps is very different from their android counterparts and new users might take a while getting used to them. Stay tuned for more updates on gadgets, tips and tricks. See the right side pane for links to our social networking pages.